Since my 5-week solo trip to China 5 years ago, I have yearned to return to the Far East and delve deeper into the Asian cultures. As an American who was born in the early 1950’s, a Baby Boomer, I was socialized to revere the supremacy of America. Hence, I learned little in school about the different cultures of the world. Basically, America was it. Luckily, I was not the typical American. My mother was born in Berlin, Germany and I spent a lot of my early childhood with my German grandparents during these formative years. Both my mother and my grandparents had a strong influence on my worldly consciousness which gave me a broader perspective of the different ways on viewing the world than most of my American schoolmates. Consequently, I believe their influence was the foundation for my insatiable curiosity concerning the many cultures of the world. Kinkakuji (Golden Pavilion), Kyoto, Japan photo by Ray in Manila via flickr. Exotic Siam, the opulent Russian Czarist period, the majesty of Egypt and the ancient, powerful kingdoms of Genghis and Kublai Khan particularly fascinated me. For some strange reason I felt an affinity to these lost, great civilizations which, ironically, I believe in some way led me to attain a Masters of Arts degree focused on International Relations. Something in me always wanted to understand and appreciate the world’s fascinating and different cultures. Japan is one of the Asian cultures I have wanted to explore for years, but have avoided because because traveling there tended to be much more expensive than the other Asian countries. However, the opportunity to visit the “Land of the Rising Sun” has finally materialized. Maybe the travel muses have prevented me from visiting Japan because I was not ready to fully absorb and understand the power and beauty of this country and its unique culture. As my followers know, I am a travel research fanatic and for this solo adventure I started my fact-finding early. For the last six months, I have been Googling everything to do, see and know about Japan before I spend almost an entire month there. I wanted to be prepared to understand what I was about to see and experience on a deeper level than that of a typical tourist. In addition, I must have watched around 100 YouTube videos on various topics such as the meaning of satori, wabi sabi and zazen, the different types of ethnic, Japanese foods, Origami paper folding, Ikebana flower arranging, sumo wrestling, the Shinto religion, Sakura, anime, cosplay, etc, which are all unique aspects of the Japanese culture. On top of all these idiosyncrasies, there are many cultural “do’s and don’ts” solo travelers should be aware of before visiting Japan to prevent unknowingly insulting anyone. Proper etiquette, whether at the dining table, a tea ceremony, or in a sacred Shrine is important to know. I learned quite a bit from this research and now feel confident I will not commit any faux pas! A little bit about my itinerary and some of the special things I intend to explore on this trip. For starters, I will be visiting six cities; Tokyo, Hakone, Kyoto, Nara, Osaka and Hiroshima. The trip will be 25 days in length, which should give me ample time to experience the things I want to do so I don’t feel pressured to fill my days with too many activities. My upcoming trip will probably be the only time I visit Japan so I will attempt to not miss anything that I feel is important. My approach to this trip is one of slow travel, no rushing from one activity to the next. I have decided to maintain a Zen mentality daily. I intend to make a serious effort to not worry about lingering too long in the many spectacular gardens, temples or museums that I have on my agenda. I plan to “live in the moment” and seek “enlightenment,” - The way of Zen- each day of the trip. Tokyo will be my first stop where I plan to spend an entire week. I’ll arrive at 10:00am after a very long flight from the States which includes a twelve hour layover in Helsinki, Finland. Consequently, my first day will be focused on getting over jet lag. If I am too tired to start my adventure upon arrival, I'll opt for a Japanese shiatsu massage and a soak in an warm water onsen at the Hotel Otani, my home away from home in Tokyo. Likewise, if I’m still too fatigued and not revived after the massage and the soothing warm water soak, I’ll finish my day with a stroll through the hotel’s extensive Japanese garden which should be filled with Cherry Blossoms at this time, eat sushi and go up to my room to crash so I can start a fresh on day two. A little background info on Tokyo and Japan is in order. The Tokyo Metropolis is divided into 47 prefectures and is considered one of the most populated cities in the world with over 14,000,000 inhabitants. Tokyo is huge! In the 17th century, the city was known as Edo and served as one of the key Shogun headquarters. In the mid-19th century after the defeat of the Japanese Shoguns by the Samurai clans and the reinstatement of the Emperor Meiji, Japan’s capital was moved from Kyoto to Tokyo. After the Shogun era, Japan for the first time began opening itself up to the rest of the world, especially in the areas of trade, manufacturing and finance. Tokyo quickly became the financial center of Japan and thus, the center of the modern Japan. Because of its strategic history, Tokyo is considered to be a dynamic blend of both traditional and contemporary, cosmopolitan Japan. As you can imagine, there are tons of things to experience in this great city, but I have zeroed in on a list of what I consider will give me a sampling of many of Tokyo’s special experiences whether highlighting traditional or contemporary Japan. Cross the famous Shibuya Crossing; explore the upscale Shinjuku and the Shibuya districts - great shopping, restaurants and people watching here! After Tokyo, I travel to Hakone and Mount Fuji for three days where I will be doing a mixed bag of things, most of which will be focused on the spectacular nature of the area. In addition, my accommodations in Hakone is in a traditional Japanese ryokan where I will eat a classic kakashi meal sitting at a low slung table while wearing my kimono - which I bought especially for special occasions like this,- soak in an onsite onsen and sleep in a Japanese futon on the floor. Lots of Japanese cultural immersion here! Hakone Pirate Ship photo by Callum Shell via flickr. Eat a Black Egg! - An egg boiled in the waters of the area that is suppose to add 7 years to your life. I might consume a couple of these famous eggs!! My next stop will be the historic city of Kyoto, the location of the old Imperial Capital of Japan where many of the early Japanese cultural traditions are still practiced. 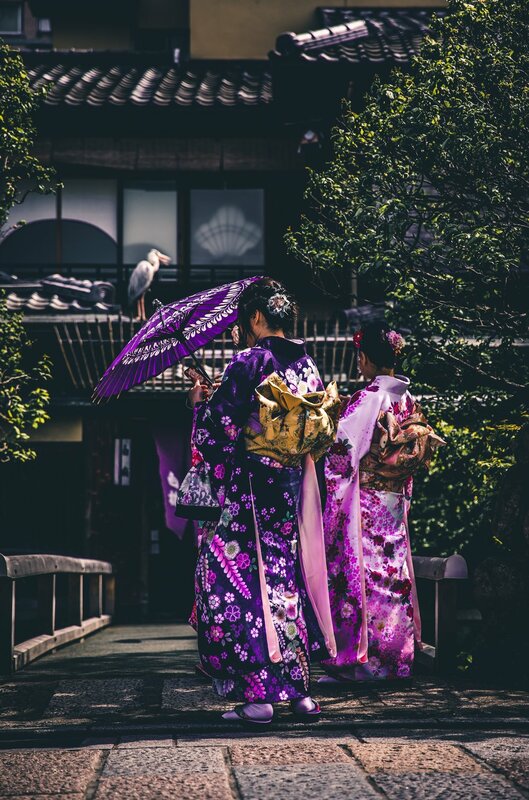 Most of my time will be spent in the oldest part of the city, Gion, the area where the Geisha still engage in the revered art of Classical Japanese dance, music and hospitality. Tea ceremony photo by Phil Balchin via flickr. Photo by Bambang Suryobroto via flickr. A day tour outside of Kyoto to the ancient city of Nara is the fourth city on my solo sojourn to Japan. Temples and Shrines dating back to the 8th century and the free roaming Deer Park make Nara a must do when visiting Japan. Visit the famous Deer Park where the animals roam free allowing the visitors to feed and interact peacefully with them. Deer are considered sacred animals in Japan. 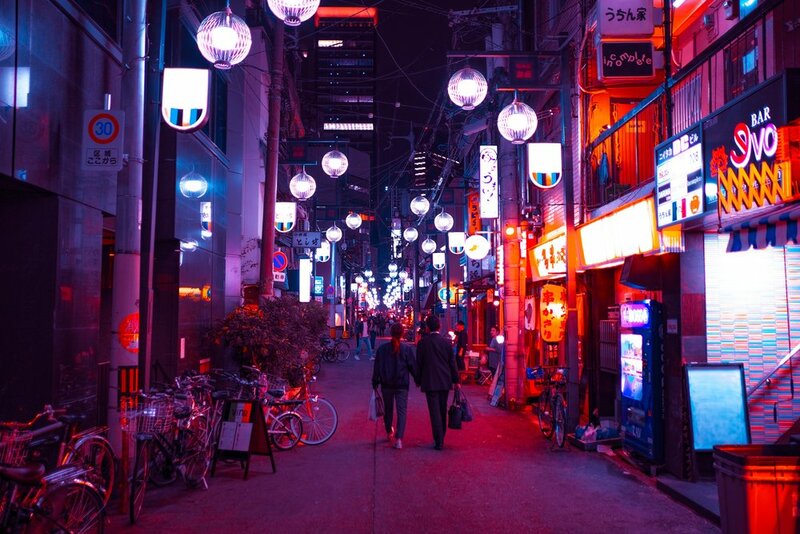 My fifth destination will be Osaka, the Japanese city famous for its techno activities, Amerikamura fashion trends and its delicious street food scene. Since Osaka is almost at the end of my Japan adventure, I will begin winding it down here where I’ll probably seek a beauty or massage treatment to recharge my batteries! Lantern ceremony photo by Freedom II Andres via flickr. After three days in Hiroshima it’s back to Tokyo via the bullet train to catch my flights home. The first leg will take me back thru Helsinki this time for a 36 hour stopover where I intend to explore as much of this Finnish city as I have the energy to do! Though relatively more expensive than other solo travel destinations, I am confident that a trip to Japan can be made to be both luxurious and affordable by adhering to good budgeting practices; see my Solo Travel Budget Guide. To insure I don’t break the bank, I have developed a pre-trip budget for my Japan trip that I will be sharing in an upcoming blog. 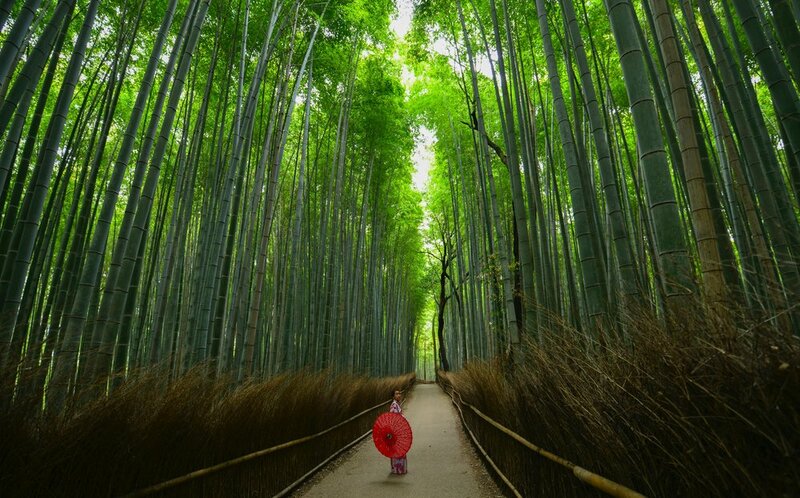 In this posting you will see how much an activity-filled trip to Japan is projected to cost. When I return home, I’ll analyze how well I managed my money on the trip and I’ll also share this info in another future blog. I’ll end this exposé with Japan is the place to visit right now. In preparation for the 2020 Olympics, the Japanese government and the corporate community have been making a variety of tourist-friendly changes. Many areas in Japan in the past have not been tourist or English-friendly, but with an increased emphasis on more signs in the English language, improved public transportation, and new or updated hotels and restaurants, traveling to this country is becoming increasingly easier. 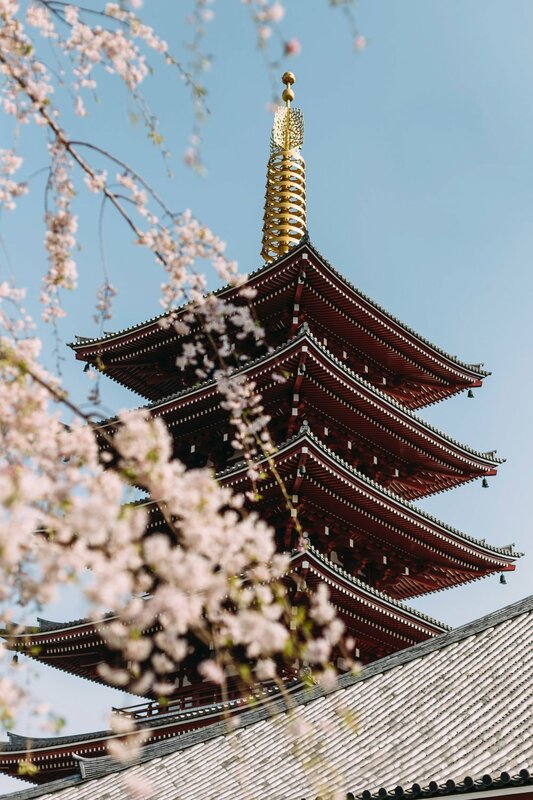 Last, Travel and Leisure recently designated Japan as its 2019 “Destination of the Year”, and just this morning I noticed in my travel news feed the the best place for an Aquarius, my astrological sign, to travel to this year is - you guessed it - Japan! Once again, I have instinctively chosen a great place to explore solo, and during Cherry Blossom season no less! To join me on my journey, follow Astrid Solo Travel Advisor on social media by clicking the links below! Join our newsletter to receive notifications of the latest blog posts and episodes of Solo Travel Talk Podcast on Japan tips for the solo traveler!